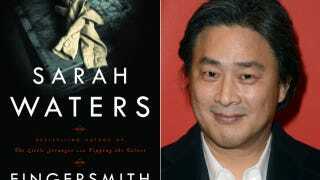 Park Chan-wook, the man who made Oldboy, is adapting Sarah Waters’ tight-laced period piece Fingersmith. This’ll be something, all right. A Korean reinterpretation of Sarah Waters’ Victorian-era lesbian novel of the same title, Chan’s movie relocates the scene to Korea and Japan in the 1930s, when Korea was under Japanese occupation. The adaptation is written by Park’s long-term screenwriter Chung Seo-kyung (“Sympathy for Lady Vengeance,” “Thirst”).